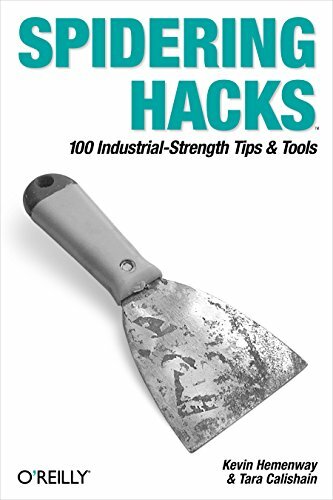 Written for developers, researchers, technical assistants, librarians, and power users, Spidering Hacks provides expert tips on spidering and scraping methodologies. You'll begin with a crash course in spidering concepts, tools (Perl, LWP, out-of-the-box utilities), and ethics (how to know when you've gone too far: what's acceptable and unacceptable). Next, you'll collect media files and data from databases. Then you'll learn how to interpret and understand the data, repurpose it for use in other applications, and even build authorized interfaces to integrate the data into your own content.